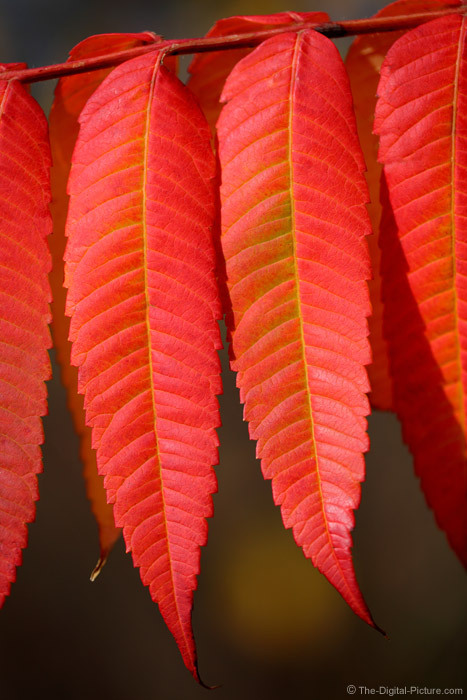 Sumac trees are one of the most-reliable fall-foliage performers in the area. They rarely disappoint. Isolate a leaf or small group of leaves against a pleasing background for a picture that also will not disappoint.